Teams fly to Harare, Zimbabwe and then take a train to Marondera and Imire Rhino & Wildlife Conservancy. When teams arrive, they enjoy a little safari ride before arriving at a camp. Here, teams must build a safari tent as fast as they can. The order they finish will determine the order… of something. The order: Cody & Jessica, Lucas & Brittany, Henry & Evan, Kristi & Jen, Eric & Daniel and Alex & Conor. At 4am the next morning, Phil wakes everyone up to drop a huge bombshell. For the first time ever, teams will #PartnerSwap. They will switch partners until further notice. Cody & Jessica decide to switch with Kristi & Jen to form Cody & Jen and Jessica & Kristi. Lucas & Brittany choose Alex & Conor and become Brittany & Alex and Lucas & Conor. That leaves Henry & Evan and Eric & Daniel to turn into Henry & Eric and Daniel & Evan. Phil gives them the go signal and they open the first clue telling them to use makeshift rafts to row themselves on Imire Lake to find two cateens with their clues. Teams will then head to a lookout tower for their next clue. That clue reveals a Detour: Rhino Track or Bush Whack. 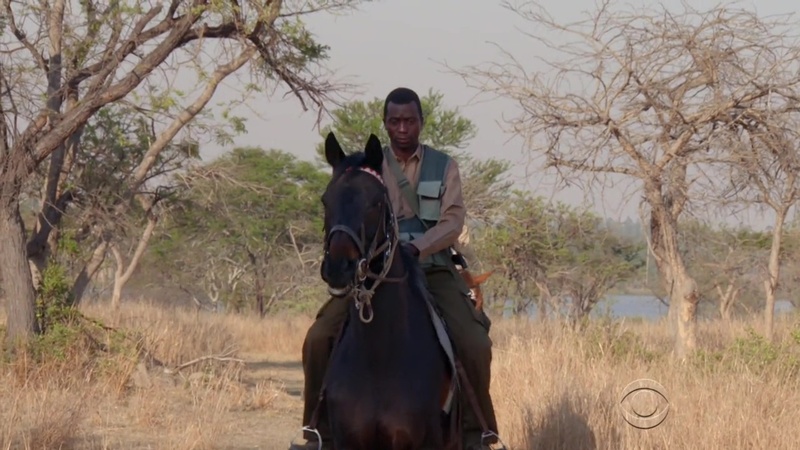 In Rhino Track, teams will search on horseback for evidence of poachers. When they collect all eight, they must correctly place them on a map, they will receive their next clue. In Bush Whack, teams will go off-road and replenish a ranger’s supply station with water while getting through bogs. 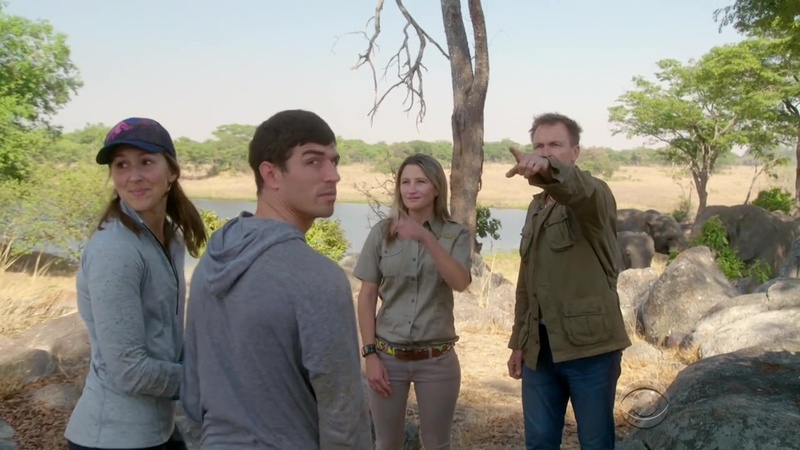 Brittany & Alex choose Rhino Track while Jessica & Kristi and Cody & Jen choose Bush Whack. The ranger asks Jessica & Kristi which of them will drive. But it’s a manual jeep and neither knows how to drive stick. Kristi decides they will switch Detours. When they run into Cody & Jen, they decide not to switch with them and both teams do their Detours on their own. Lucas & Conor choose Bush Whack as do Henry & Eric. But there are only four 4x4s so Daniel & Evan must do Rhino Track. Cody & Jen finish the Detour first and can now head to the Pit Stop at Savannah Plains Overlook. But Phil says they must wait for their teammates before they can be checked in. Brittany & Alex finish the Detour and head to the Pit Stop in 2nd. Lucas & Conor and Henry & Eric both get bogged down on their second water crossing and must winch their way out. Lucas & Conor are able to reach the Mat in 3rd. That means both original teams can be checked in, reunited and can continue Racing back to Harare. Daniel & Evan get it correct on their first attempt and leave. They arrive on the Mat in 4th and Henry & Eric arrive 5th. They are off on the next Leg. It takes Jessica & Kristi 10 attempts to finish the Detour. They reunite with their partners at the Mat and they can keep on Racing without penalty. Jessica asks if punching Evan in the face is allowed and would feel good about seeing Henry & Evan on the side of the road. Well then! The big #PartnerSwap (include the hashtag) was a big dud. First of all, I think it would’ve been much better had teams been rearranged randomly. Picking another person’s name out of a hat or something. Especially if there are teams who don’t like each other or are in strong rivalries. But that kind of situation would be even more fun and crazy with a partner swap. In future seasons (if there are future seasons), I would really like to see it be a random pick. That’s how I would implement it on a TARPHDME, absolutely. It would also make the wait at the Mat even more dramatic and tense. If one person has to wait for their partner while other teams are reunited, even their new partner getting reunited before them… that would make for great, exciting television. The other thing about the swap and this Leg is that it was another opportunity to expose the bad thing about Keep Racing Legs. Again, these are just Non-Elimination Legs with no penalties. It would’ve been great if the last place teams here both got a Speed Bump on the next Leg, yes? It makes the Partner Swap that much more involved and consequential. 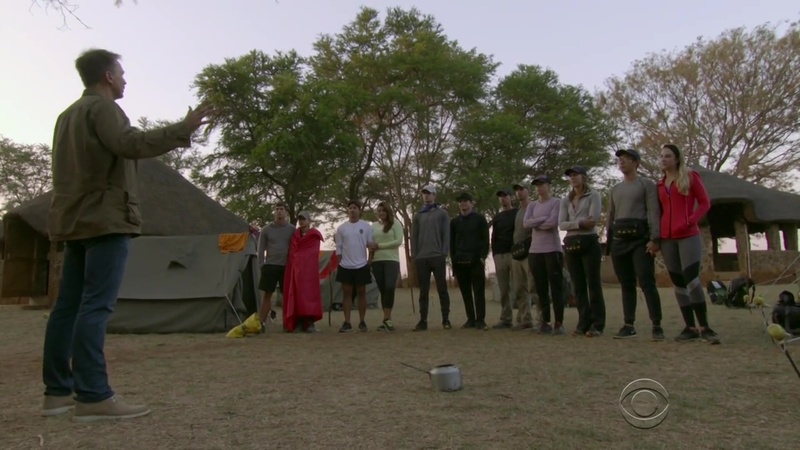 Instead, it was a lame one-episode gimmick with no effect on the Race whatsoever and really just an excuse even to have a Leg that ONLY had some rowing, a Detour (and building a tent, but still an irrelevant task). Having a Speed Bump for two teams as a consequence would actually be more fair than the Head-to-Head has been so far. So while both Detours were pretty great and the scenery beautiful, this episode and the big #PartnerSwap were duds and fell flat. So let’s get it out of the way first. It was pretty hypocritical of Jessica to have such a problem with Evan not wanting to help them. Neither she nor Kristi should’ve been upset that Daniel & Evan refused to help. They can be frustrated and annoyed sure. But to take issue with it and hold it against them is laughable. If you know me and my thoughts on TAR, you know I absolutely hate answer sharing. Helping each other, pointing teams in the right direction is fine. But giving another team answers just completely negates the Race and its competition. And for this Detour, helping them would basically be giving them the answer. I applauded Jessica for not giving Brittany and Conor the answer immediately last week though I still think she shouldn’t have told them at all after. I didn’t think either Brittany or Conor should take issue with Jessica holding on to the answer longer. In fact, Jessica taking Brittany’s Gnome in Morocco is a much more worthy offense than not sharing answers. But depending on how long they hold a “grudge” against Henry & Even just because of this, then this might be a deal breaker for me. I had Kristi & Jen up at or near the top of my list for entire season. And I was liking Cody & Jessica too, especially after last week. But boy did they just fall this week after that short display. Henry & Evan have also been close to the top of my list all season and I definitely hope Evan sticks to her guns and not go and apologize or something. Eric & Daniel and Lucas & Brittany have both emerged as great teams who’ve stepped it up in recent Legs. Alex & Conor meanwhile still sort of lag behind, but definitely can move up. First off, answer sharing completely ruins the race. What’s the point. Especially when there are less teams. Especially when you’ve got zero to gain from it. I think it should be a penalty to help each other (even if it were a fifteen minute penalty), so teams would be less likely to share information. This was such a dud. Who cares if the teams are mixed up for half a leg? There was no way anyone would be eliminated, and in fact coming in last actually still got to the next task on the next leg in second. My god Jessica is awful. She spent the whole Safari run not paying attention, and then freaked about a simple task that they both knew was coming. Ridiculous. Yeah, this was definitely a half Leg. Like, I can’t believe they were able to fill up an entire hour. But then again, it was very slow. And yes, answer sharing is absolutely horrible. If you haven’t seen TAR Philippines 2, it was a huge problem. So much so that the producers/directors made a point halfway through filming to actually start including in clues: “WARNING! Once you’ve found the next clue, do not give the answer to other teams. DO NOT make this mistake.” The capitalized emphasis was in the clue. I wish TARUS would do that as well. And I was definitely not a fan of Jessica for much of the Race.